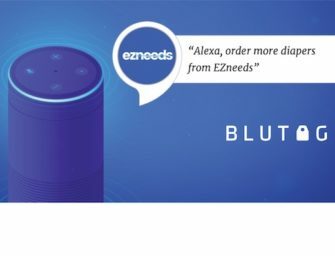 As voice assistants become more ubiquitous in our daily lives, so do their advertisements. Companies are finding that one way to make their commercial stand out from the rest is to use a celebrity to drive additional free press. One of Amazon’s first commercials for Alexa featured Missy Elliott and Alec Baldwin which made almost every “Best Of” list following the 2016 Super Bowl game. And now, Apple is turning to the Rock to get more eyes on Siri. I love The Rock’s Dominate the Day commercial, and it speaks to Apple’s current focus is not on third party applications. Siri is requested 13 times, but only once asks for a third party service – Lyft. He’s right. The Rock gives Siri thirteen separate commands, but only one involves a third party, Lyft. She also does not demonstrate anything vastly different from the very first commercial starring Siri almost six years ago. The Apple ad was Siri’s debut and featured various people using Siri the same way the Rock did (but in a less glamorous way.) Many of the commands the Rock uses, such as send a message or check my email, are also featured in the older commercial. While Siri has gotten a famous partner in her new Rock ad, she hasn’t really changed much since 2011. By controlling the experience with only Apple applications, the company can ensure quality. However, Amazon has over 10,000 independent developers innovating on their behalf. Three years from now, the platforms with the most robust ecosystems will be the winners. To remain competitive, Siri will need more third-party integrations. But Apple could easily catch up to its other rivals minus Amazon. Google Home has 468 Actions to date and Microsoft Cortana only 67. Siri might have The Rock, but great marketing does not make great apps happen. Developers do.